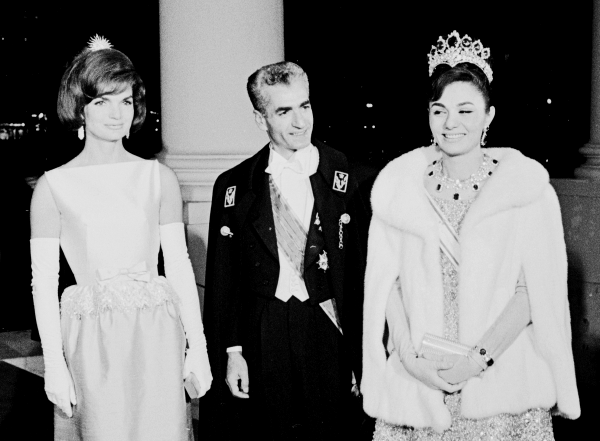 A month later, Jackie wore the brooch in her hair again for another gala dinner. This time, the guests of honor were Andre Malroux, the French Minister of Cultural Affairs, and his wife, Marie-Madeleine Lioux. As the summer went on, Jackie continued to wear her new sunburst brooch proudly. 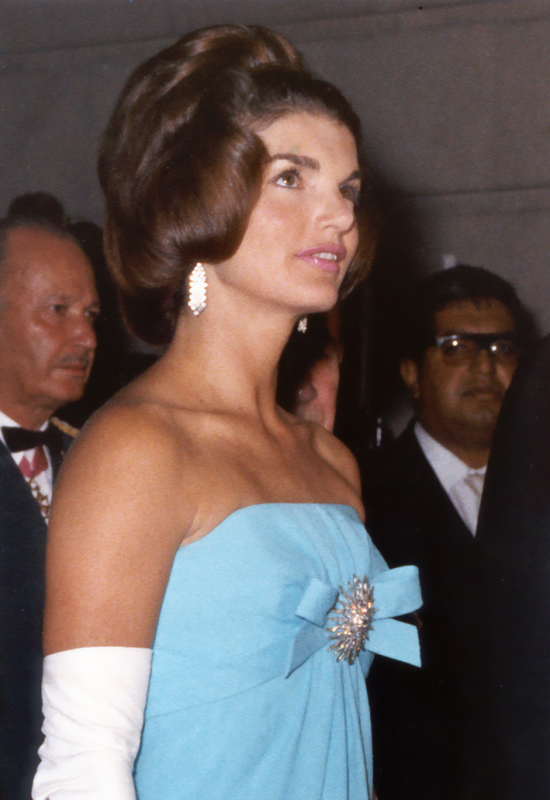 The Kennedys made a visit to Mexico City at the end of June, and Jackie pinned the sunburst brooch to her blue gown for a reception at the Foreign Ministry. 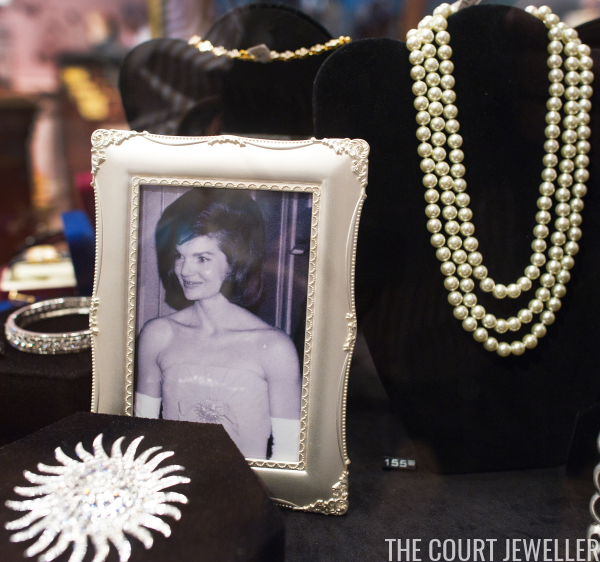 In the years since Jackie's death, some of her jewelry has been sold at auction, while other pieces are on loan to the Kennedy Presidential Library. 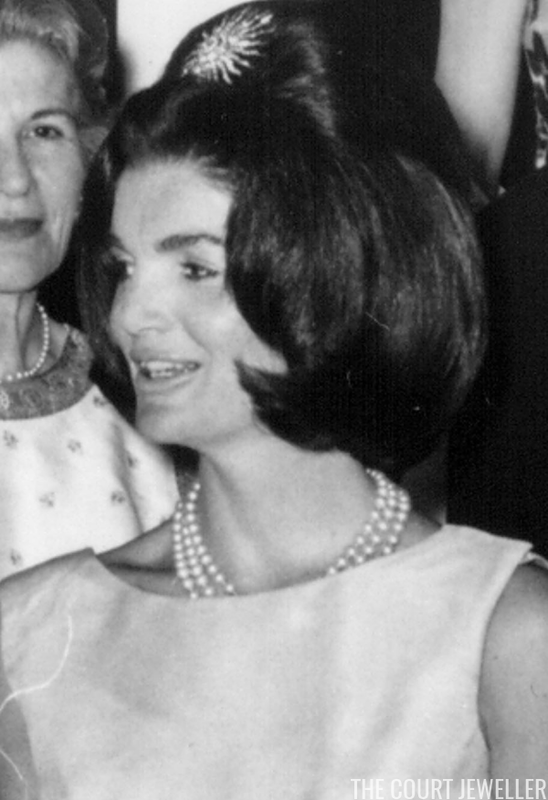 But the sunburst brooch has had a different fate: it now belongs to Jackie's daughter, Caroline Kennedy. 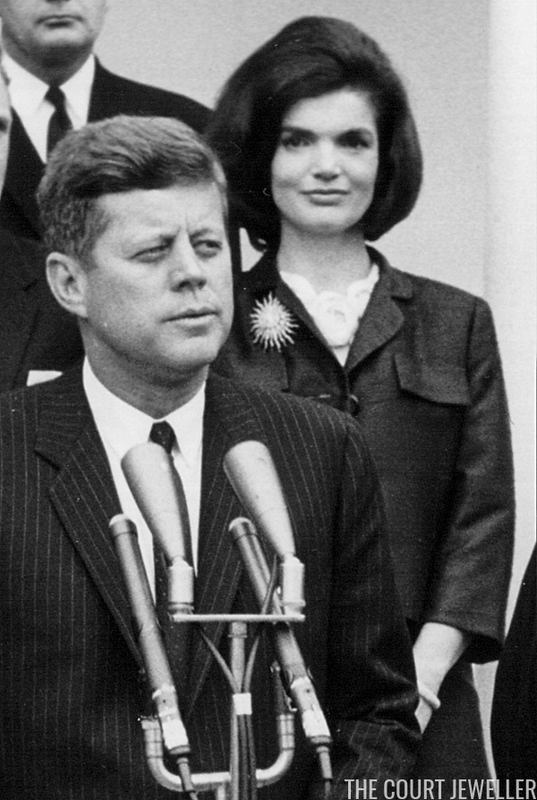 She occasionally brings the sunburst out for various important events, including the annual Kennedy Center Honors. 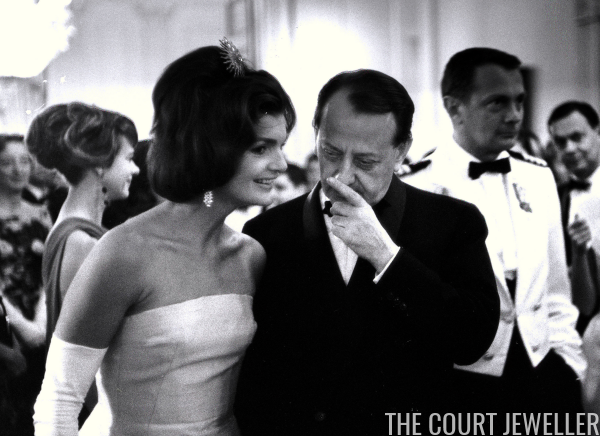 At a dinner related to the Honors, one reporter recognized the brooch and asked Caroline about it. She reportedly replied, simply, "My mother gave it to me." 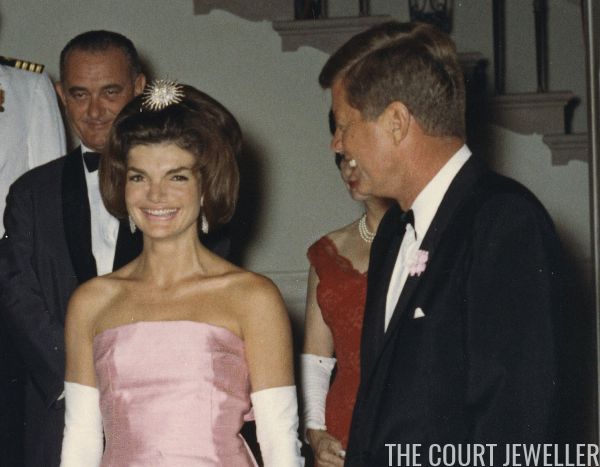 The sunburst brooch is iconic enough that, when a company decided to sell affordable replicas of Jackie's jewelry, it was one of the major pieces that they recreated. 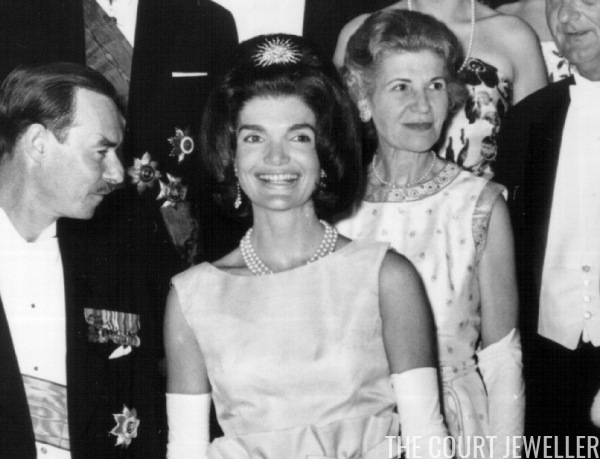 The costume versions of the brooch are no longer being made, but for years, they were even sold by the Smithsonian.